So the trailer I posted for this earlier in the week was apparently a teaser. (I was a little late to the party on it, too.) But this is a brand new trailer, and hot damn is it good. The YouTube page for it says that the film is out in New York and LA on June 13, before a “nationwide” release on June 20th now. I was absolutely mesmerized by writer-director David Michôd’s Animal Kingdom, and this trailer for his follow-up, The Rover, looks incredibly intense, as well. 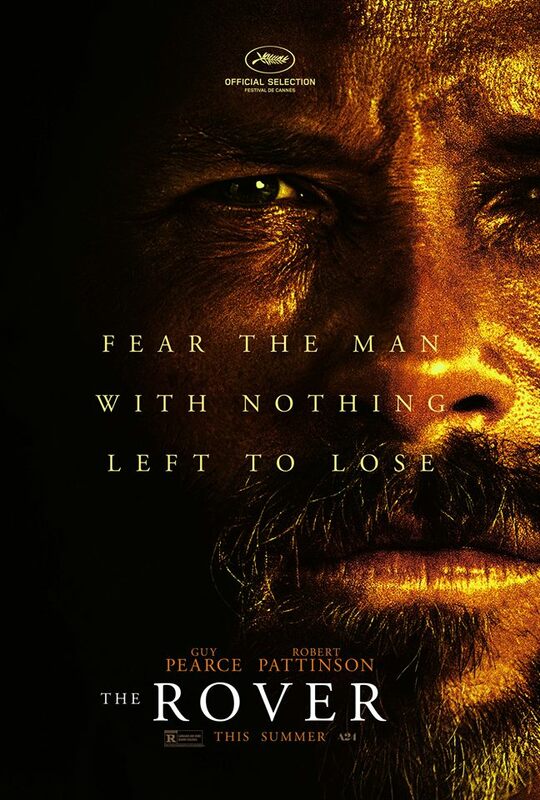 The film follows Pearce as he hunts down the gang that stole his car with the help of a wounded man (Robert Pattinson) left behind at the scene. The film comes out on June 13 in the US, almost certainly in limited release. It was written by Michôd from a story by Michôd and Joel Edgerton, who starred in Animal Kingdom (and Warrior, as well). The film also stars Scoot McNairy (Killing Them Softly). Iron Man 3 was directed by Shane Black (Lethal Weapon, Kiss Kiss Bang Bang) and stars Robert Downey Jr., Don Cheadle, Gwyneth Paltrow, Ben Kingsley, and Guy Pearce, among others. It hits theaters on May 3. The new, red band trailer for Lawless is out, and it still looks pretty damned good. Director John Hillcoat’s follow-up to The Road stars Shia LaBeouf, Tom Hardy, Jessica Chastain, Jason Clarke, Guy Pearce, Gary Oldman and Mia Wasikowska. Nick Cave (The Proposition) adapted the screenplay from the novel “The Wettest County in the World” by Matt Bondurant. The film hits theaters on August 29.